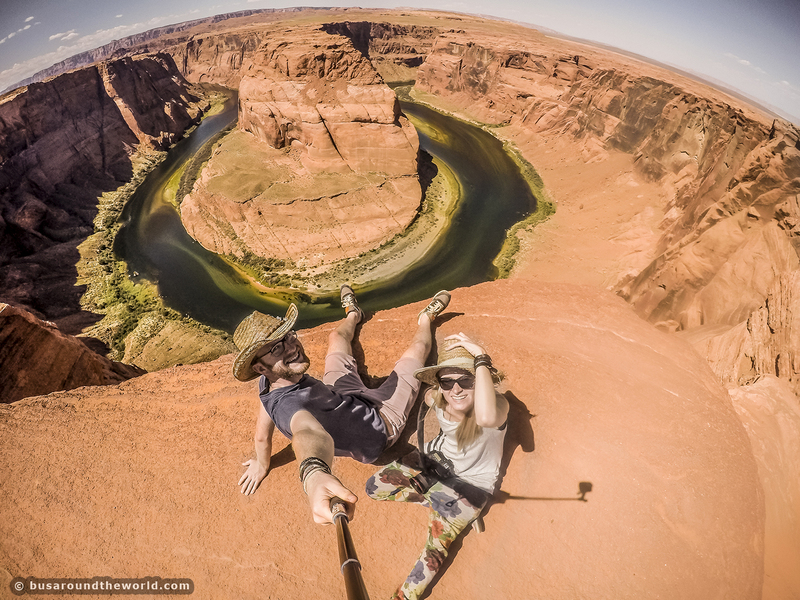 Meet Karol and Aleksandra from Poland – probably the most inspiring traveling couple you would ever meet on the road or on the web. 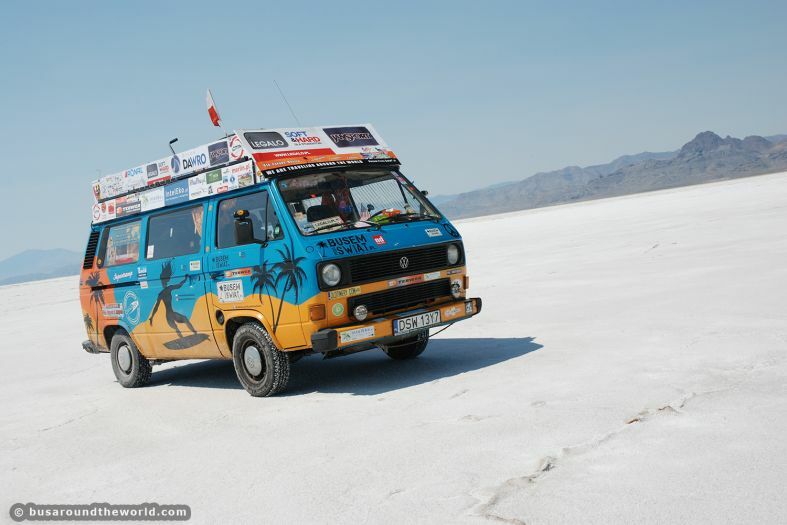 They didn’t have much money, so they bought an old van for 600$ and turned it into an adventure travel car. 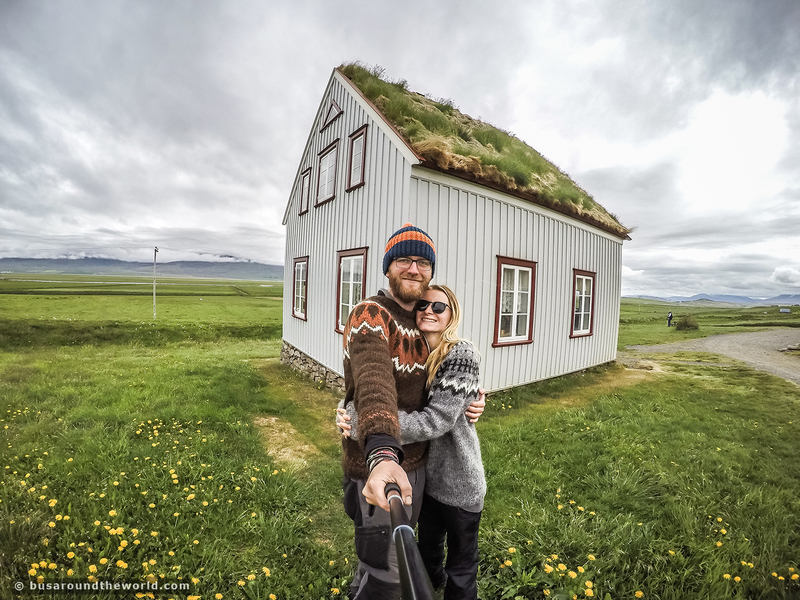 They are only 27 years old but they have visited over 50 countries on 5 continents in the last 6 years. For 8 dollars a day. Before the trip Karol was studying computer science and robotics and Alex was studying political science. Now they work as travel bloggers and book writers and they have a youtube channel. When we told to people in Poland, that we want to go on such a journey… they said that we were crazy and that we cannot live like this. But we did it – our live has become a journey. Every day we wake up in the morning feeling free and happy. 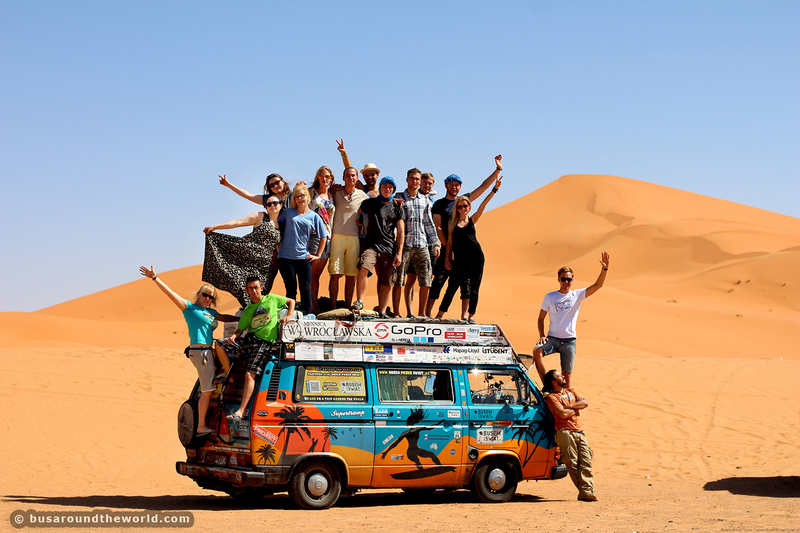 Now we believe that you do not need much money to start traveling and fulfill your dreams. Now we know that every dream we have can become a reality. 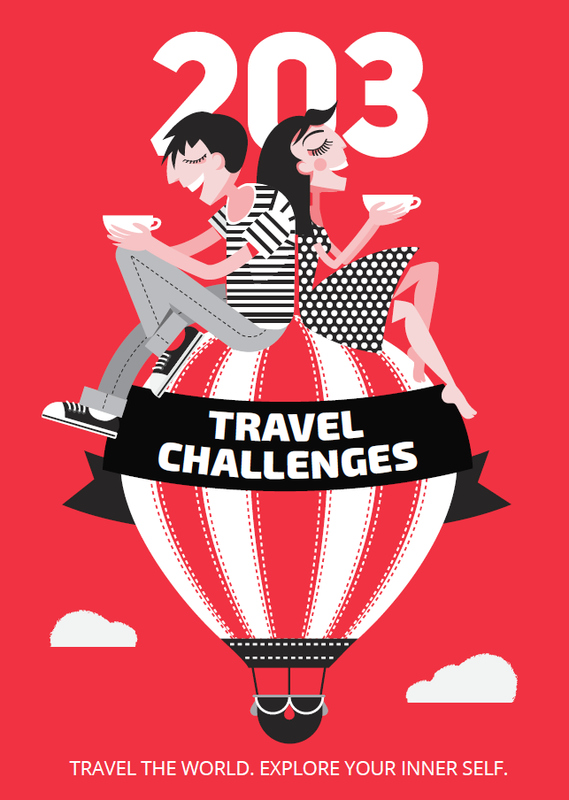 We travel by bus around the world because… it is really cheap. The car is also our home on wheels. The main cost is the fuel – that’s why other people travel with us and share fuel costs. We travel slowly and often stay in one place for a few days, so we save on fuel. We do not pay for accommodation because we sleep in the van or in tents – on beaches, cliffs, mountains. Often, strangers invite us to their homes. Polish people living abroad often help us. We buy food from supermarkets and we cook – we do not pay for restaurants. For example, in Australia we ate kangaroo steaks because it was the cheapest meat. When the car breaks down… we repair it, because during the trip we have learned how to do this. And when we need mechanics, they very often do not take money from us because they are impressed by our trip. They just want to help us and be part of our adventure. 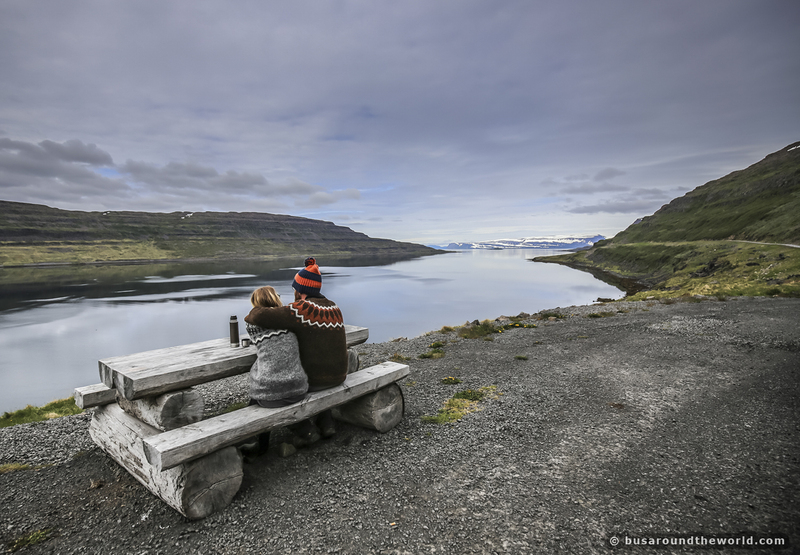 The first thing we do when we arrive at a new destination is… we find a place with a nice view, we take out chairs and a grill from the car, enjoy the view and talk with the locals. Our car is so unique that in a few minutes we meet a lot of people. We never travel without… duct tape to fix our car. The place we would come back again and again is… West of the US and Australian deserts. 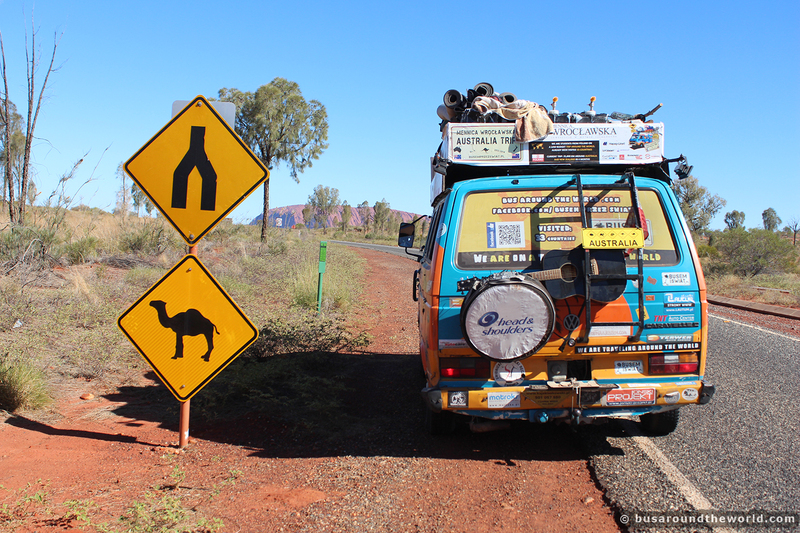 The strangest thing that ever happened to us on the road was… in Australia we lost a wheel while driving – we got stuck in the desert in a place with no mobile coverage, and with little supply of water. If we have to share something inspiring with you, it would be… Don’t make your life harder, and live simply.